Does it make you cringe when you hear someone say, “I deserve this?” It did for me too, until this mindset shift happened. As a fan of Almost 30 podcast, I listen to some of interviews the hosts do on other podcasts. 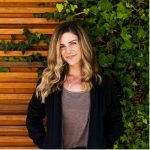 Most recently I was listening to an episode of the Power Babe Interviews podcast, because the host Natalia Benson was interviewing Krista Williams. On the episode, they explored the idea of deserving, and how powerful it can be to feel and embody the idea of “deserving.” And it really grabbed my attention. When I first heard it, I felt immediately felt tense from the phrase, “I deserve this.” And I believe a lot of others would feel the same way. It’s a phrase that gets a reaction, because a lot of us have been shaped to believe that feeling like you deserve something is the equivalent of entitlement and saying “I deserve this and you don’t.” Or we feel that people have said this phrase who we don’t feel are deserving of the mass amounts of blessings in their lives. It immediately makes us defensive. So, what’s missing here? Why shouldn’t we feel deserving? Why does it give some of us a negative reaction? Deserving, by definition from dictionary.com says it’s “worthy of being treated in a particular way.” And I feel like we’re all deserving of beautiful things. Love, attention, joy, abundance, peace. I think most of us would agree that we’d love for everyone to have those things. The difference between entitlement and deservingness is about gratitude. When we feel grateful for everything life is offering to us, deservingness doesn’t feel like entitlement. Entitlement, by definition is “the fact of having a right to something.” That feels weirdly different, even when it’s the same concept. Natalia and Krista made this distinction on their podcast, and it clicked for me. There is nothing wrong with deservingness. We are all deserving. We are all worthy of good, wonderful things, and we should believe that with all our heart. When you believe (like to your core) that you’re deserving, you act like you’re deserving. Things shift. And if you believe in law of attraction, that’s what it’s all about. No one deserves less than anyone else. But when you feel like you deserve good things, you start attracting good things. You start making different choices. You talk different. You are a better version of you. So, how can we start making ourselves feel deserving? I don’t believe that you have to see to believe, but it helps when we can visualize ourselves becoming and doing better. If you can see that potential for yourself, it’s easier for you to move in that direction. It’s easier for you to tap into your potential. Try creating a morning visualization practice or start picturing yourself as though you’ve accomplish your goals; as though you are unstoppable. If we’re not feeling deserving or worthy, we can start shifting our mindset around it by saying affirmations aloud. “I am worthy” or “I am deserving” and let it sink in. Start acting in a way that you believe it. You are worthy. You are deserving. Buy into that idea, because it’s true. Gratitude is such a key component within deservedness. If you’re not feeling grateful for what you receive at this moment, demanding more shifts to entitlement. It’s subtle, but the difference is when you feel like you are worthy of love, and you also provide love. The energy shifts, and it becomes more of an exchange, rather than you simply taking. We can start removing our subconscious blocks. We have a lot going on in our subconscious that is hindering us from behaving like our best selves. Our old wounds and inner child make us behave like we’re unworthy, because we have a lot of past damage to work through. But by simply working on believing that you are worthy, you can start doing some of that inner work. The work will start showing up for you –– that inner dialog that tells us we’re not worthy is loud and it’ll provide receipts. So when it does, be prepared to go there. Because worthiness is not an easy battle. We have a lot of ego that wants us to believe otherwise. It means digging up the past and working toward a future where you feel more full of love from within. What do you think about deserving vs entitlement? We’d love to hear your thoughts in the comments below! Previous ArticleShould You Start Drinking Celery Juice Every Day?